Product prices and availability are accurate as of 2019-04-18 16:37:31 EDT and are subject to change. Any price and availability information displayed on http://www.amazon.com/ at the time of purchase will apply to the purchase of this product. If for any reason you are unhappy with any product by Toughsty, please do not hesitate to contact us. Toughsty-USPTO# 86627546- is a registered trademark protected by US Trademark Law. Toughsty products are sold by authorized sellers only. 1. Before using, make sure that the camera is fully recharged and the SD card is fitted properly in the slot. 2. Please slide the power switch of the camera to the ON position. 3. Aim the remote controller at the camera every time you press a button. The blue indicator light on the remote controller will flash once every time you press a button. 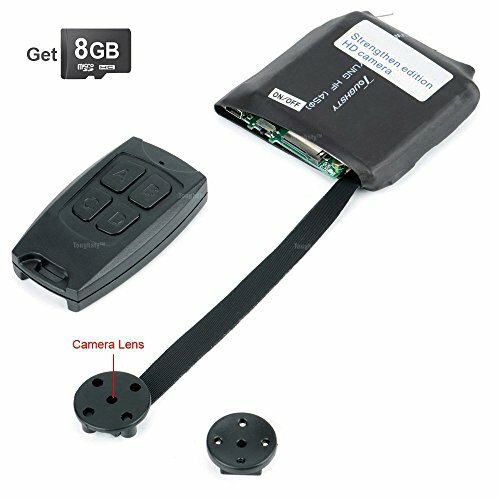 MINI SPY CAMERA: super mini hidden camera. Easy to hide. 1280*960 video resolution. Flexible cable, makes great application. 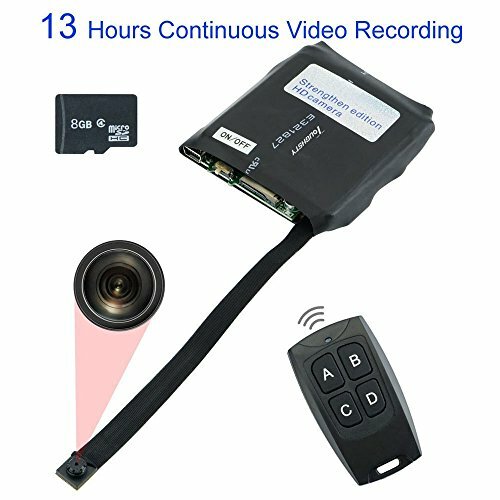 HIDDEN VIDEO RECORDER: with remote controller, makes operation much easier. Supports motion detective recording, taking photo, real time audio & video recording. HIDDEN CAMERA MOTION ACTIVATED: to save on memory space and electricity, the mini camera can be set to record only when motion is detected. When motion is detected, the camera will start recording automatically. 8GB MICRO SD CARD: it includes a 8GB Micro SD card, and supports up to 32GB Micro SD card. 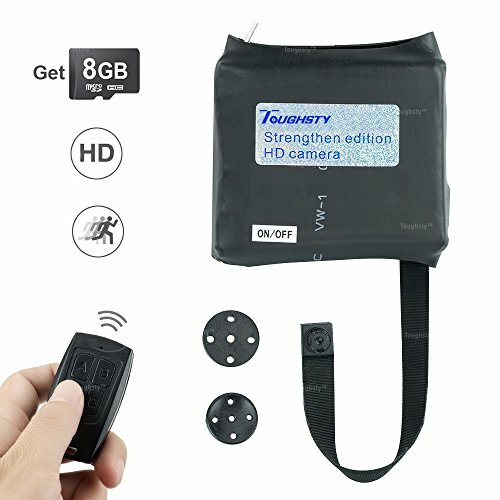 BATTERY OPERATED CAMERA: built-in 3000 mAh lithium battery,long work time; Supports 13 hours continuous video recording,also supports charging and recording at the same time.